Did you know that 2016 is the year of the outbreak of mobile apps? More and more brands everyday are opting for including mobile apps in their digital marketing strategies. A good design and user experience are key to conquer a user’s smartphone, but creating an awesome app is only half the job done: you also need to have a great promotion plan up your sleeve to make it known. To get mobile app installs you first need to make yourself visible to the users of your target audience. One of the best ways to do this quickly and cost efficiently is advertising on social networks. This is why I would like to tell you today about all the secrets to getting more mobile app installs by using social ads on Twitter, Facebook, LinkedIn, Instagram and more. Over 80% or Twitter users access it from a mobile device. According to the latest studies carried out by Research Now, these people use apps 24% more than other smartphone users. They are, undoubtedly, a great audience to promote your app to, with the advantage that they can even download the app directly from the ad. Twitter Ads offers a specifically designed format to promote mobile applications: the app cards. With this type of ad, users can view an app’s rating or preview images or videos directly.They also adapt to the type of device they are being shown on (iOS or Android) and are not visible if the user is connecting from a desktop. Advantages, advantages, advantages! Configuration. Name your campaign and decide its duration. Audience. Choose your target audience wisely and you multiply your chances of success. You can segment according to demographics, devices, users followed, interests, keywords, users registered in conversion pixels, Wifi connections or even by categories of the apps they already have installed. There is a whole world of possibilities! Budget. Decide your campaign’s total budget and choose whether your prefer automatic bidding, fixing your target expense per click or install or establish a maximum expense level. Creativity. Personalize your campaign's texts and images to your taste and try different versions to improve results. 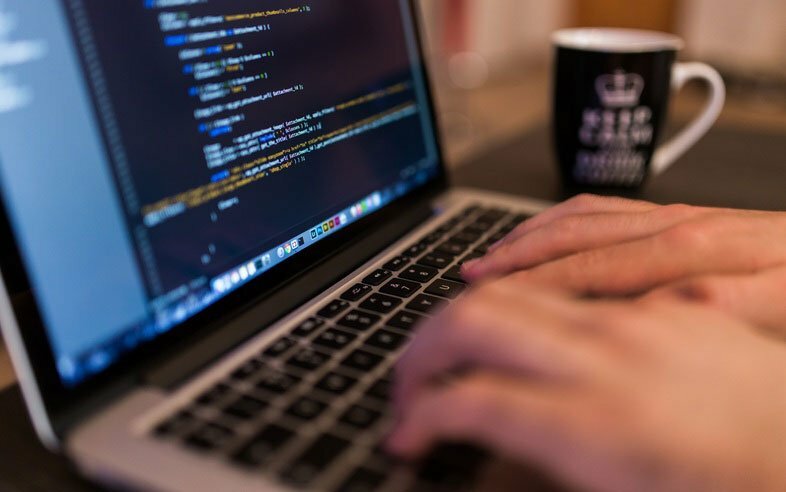 If you really want to take your campaign up to the next level, don’t miss out on the opportunities offered by new artificial intelligence systems. No matter how many apps have been launched over the past years, Facebook continues to be the indisputable leader in terms number of users, with a dizzying total of 1,590,000,000 active users every month. No matter what your mobile app’s target audience, you are sure to find it here. On top of it, ad prices tend to be lower than Twitter's and at the moment, Facebook Ads is number one in terms of achieving paid app downloads. Type of device and operating system: iOS or Android. Optional URL tags: to identify traffic coming from different types of ads. Text: a tagline that briefly explains what your app is for and why people should download it. App icon: Choose a square image that will be easy to recognize. Picture used on ad: One of the key factors to attract mobile app installs. Try out different ones and optimize your ad according to results. Follow-up of conversions or events, to analyze how the user behaves once they have downloaded the app. Within LinkedIn Ads you can create text, image or video based ads that will be displayed on the right hand side bar while a user navigates through the network, or you can invest in promoted news. Customization is one of this tool’s great perks, as you can choose from over 100 different criteria for each campaign. Since Instagram implemented their new advertising solutions in September 2015, it has become an extremely interesting option for brands who wish to advertise their content. Their ads are very economically priced, as well: the average cost varies between 0.05 and 0.15 euros per click. As with Twitter, Instagram is a highly mobile network. To make the most of it, choose its app install specific campaigns. Instagram Ads and Facebook Ads share one same advertising interface, meaning you can coordinate campaigns between the two and even use the same segmentation options, including more advanced features such as customized audiences. Moreover, you can use the carousel or image playback formats to create extremely visual and appealing ads. If you are targeting a young or teenaged audience, do not miss out on the opportunity brought to you by Snapchat: 150 million people are already using it to view 10,000 million videos every day- Its new advertising solutions include the possibility of encouraging users to install an app. 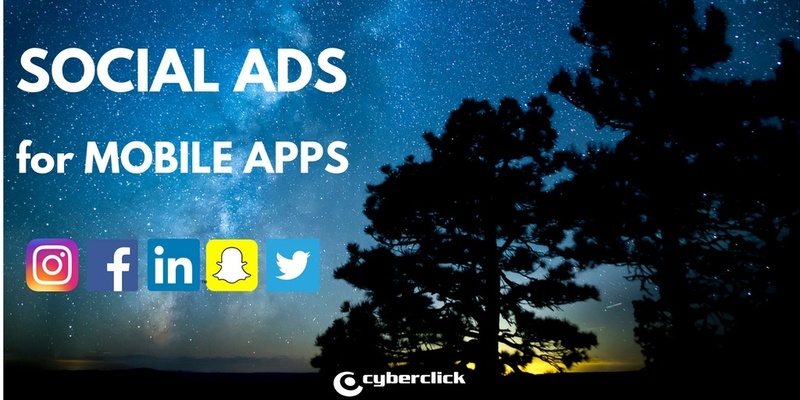 Brand such as Universal Pictures, Verizon, Warner Bros and Spotify are already using Snapchat’s ads, so join them and try it out! The best mobile apps: What do they all have in common? Let’s start by taking a look at which and what were this summer’s best mobile apps, that were most successful among the large sea of app users. There is an interesting mix of new phenomenons that may come as a surprise, and everyday apps that have become a ‘staple’ in our day-to-day lives. In terms of sectors, we see that leisure, social networks, education, news, navigation, photos and videos stand out from the crowd. Whatsapp: the instant messaging app that has taken the world by storm and changed the way we communicate, create relationships and share content with our family and friends. Messenger: another instant messaging classic that makes the most of the masses of friends we already have added on Facebook. iTunes U: Teachers have gotten very serious about preparing their classes for this semester, turning this application into one of the most downloaded app of the month. Google Maps: another app which over the past few years has become an absolute essential in our day to day lives. Instagram: the most visual social network continues to rule the world. So what do the best mobile apps have in common? Instant messaging apps, such as Whatsapp and Messenger, work because they generate continuous engagement through notifications from our favorite people. They feed off of our need to remain connected to the world and once all our friends have it, it becomes very hard for us to uninstall it. Instagram has been around for quite a while, but continues to be one the most downloaded apps. Why? Because we continue needing to share the special moments in our lives with others, and this app lets us do it in a simple, visual and quite addictive fashion. This month we can see two cases of applications that make the most of a current global phenomenon: the Olympic Games. Both Flip Diving and the Olympics’ own app have made their way to the Top 5, but in two very different ways: the former is a fun game that continues to make sense and be relevant after the event, while the latter focuses exclusively on the ‘now’, and will die out after the Games are over. One of the most effective user retention tactics is to make an app fun! With its addictive nature, Flip Diving got countless people hooked on the game, and for them to tell their friends. And Pokemon Go, of course, has become millions of peoples’ new hobby. These apps’ phenomenons goes far beyond our screens: some of them are able to change they way we communicate, and even the way we see and interact with the world around us. Just look at the whirlwind Pokemon Go has created this summer, or at how Whatsapp and Messenger enable us to stay in touch with our groups of friends. Pokemon is a brand that is over 15 years old, but has managed to make their comeback into our current lives. It takes advantage of the nostalgic feelings of the brand to win over the grown ups and get fathers to get their sons on board. But it is not the only app to believe in the “update or die” philosophy: Whatsapps constant improvements and updates and Instagram’s ‘new face’ guarantee them their reserved spot in our phones and lives. Another lesson to be learnt from Pokemon Go: making the most of an up and coming technology like augmented reality, and making it available to everybody. Google Maps is the most complete navigator out there, and has gotten everyone to install it on their phone. iTunes U has a much more specific audience, teachers and professors, but also made its way to the top by giving them everything they need to teach a class from an iPad. Basically, it's all about identifying your target's needs and finding a new way to satisfy them. The constant updates and improvements are a winning strategy to get users hooked and avoid them getting tired of our app. Without them, it has been proved that an app’s usage decreases after 30 days, so be sure to give your users a reason to stick with you! Creating the best mobile apps is not just a matter of design and programming: it is essential to have good diffusion and brand awareness strategies. If you want your app to stand out from the millions of others in the mobile app stores and for it to make the top downloaded list, you have to make it known through digital advertising and making the most of social ads. The app market has reached its maturity phase and users seem to be satisfied with the daily use. We are dealing however, with very dynamic consumption patterns which are highly influenced by marketing effort, seasonality and the simple and inevitable evolution of users’ needs. As we have already said here on this blog, there are very good reasons for you to be using a mobile app in your digital marketing strategy. To be able to use this market’s dynamic nature in your favor, you need to know exactly which are the right sales channels for you to be using to promote your app among your potential users. And so, I would like to share with you today the perfect sales channels that will truly make all the difference to your mobile app engagement. Diffusion: making your app known among your target audience and interested users. Getting free users to subscribe to your Premium plan. Encouraging users who have left your app behind to return. Or, in other words, what kind of people do you think are interested in your app and how does it fit in with your potential clients? If you haven’t done so yet, this could be a good moment to define your buyer persona: an imaginary person who fits your ideal client profile and on whom you can focus your marketing efforts. Demographics: age, gender, income, where they live, with whom they live, etc. Identifiers: What is their personality like? Goals, challenges and needs when it comes to using your app. What the app can do for them. What their motives would be in engaging with your app. What you want to tell them (sales and marketing messages). Although it is one of our favorite, timeless sales channels, the truth is that email marketing continues to be one of the best lead generation and user retention methods, as well as in terms of return on investment. Email marketing is an efficient way not only to generate expectations and excitement in new audiences, both before and after the launch, but also to keep your users up to date with all your news and improvements. Adapt all messages and communications to mobile formats by using responsive tools. Don’t miss out on conversions because an unattractive or unintelligible design! Make sure all of the creative elements included in your emails are unique and original to maximize your impact. Optimize the downloading process from directly within the email to make it as easy and straightforward as possible. Don’t forget the following steps: if you used an emailing campaign for your app’s launch, keep using this channel to keep up your user retention and communication during every step along the way. You can use Facebook’s potential to your advantage and add it to your app sales channels through their Mobile App Install Ads. This format is designed specifically to increase app installs, making it the perfect way for you to achieve your goals. You can also use this network's custom audiences to get directly to your target. Twitter has been a mobile-based network for years, making it an extremely appropriate sales channel for apps. It is particularly interesting if you app is connected to ‘the now’ and to sports, as well as when reaching out to a somewhat more mature audience with higher purchasing power compared to other networks. As for Twitter’s advertising solution, Twitter Ads, it allows you to promote your app in several ways, depending on your objectives. The ads published on this platform behave and look just like normal tweets, but include bigger images and CTAs. This leading social network in photography has an extremely visual, young and artistic audience. It is the second biggest social network in the world, with 500 million active users. Its advertising platform is integrated with Facebook’s, which offers very interesting cross promotion opportunities. Another one of its advantages is that it is not yet as overwhelmed with ads as other networks: there are currently over 3 million companies advertising on Facebook, but only 200,000 on Instagram. Last but not least, a useful option for companies who have different apps in the same category: in-app cross promotion. The idea couldn’t be any simpler: it's all about exchanging app promotions between apps to reach out to each other's audiences. Its main advantages are that it makes it very easy to optimize user databases as well as being a cheap way to acquire new users. The great disadvantage in this technique is that it may come across as intrusive and annoying yo some users, especially if they have paid for premium service. This is why we consider it somewhat of a double-edged sword, which does not work in every case, and cannot be used as a substitution for other methods. Nevertheless, it may prove useful as a complementary strategy, especially for companies who are in the mobile gaming industry, for example.